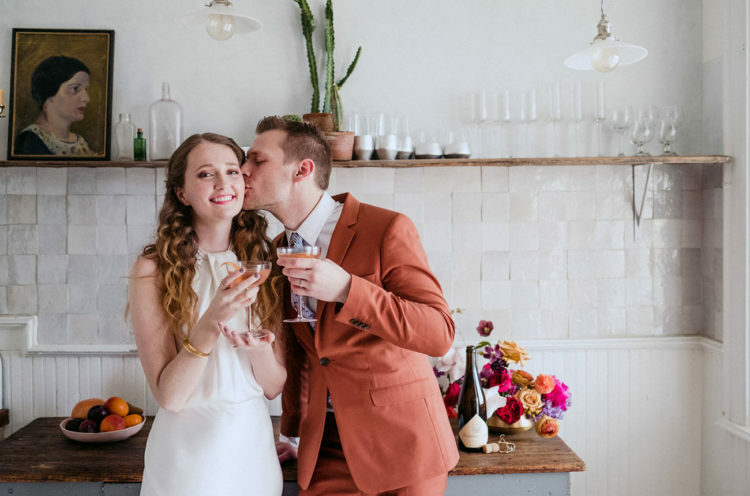 Gillian of Willow Weddings NYC was inspired by the simple, minimal interiors of Scandinavian homes and the rich color palette of the desert cities of Morocco and decided to combine these two contrary types of aesthetics into one fresh wedding shoot. 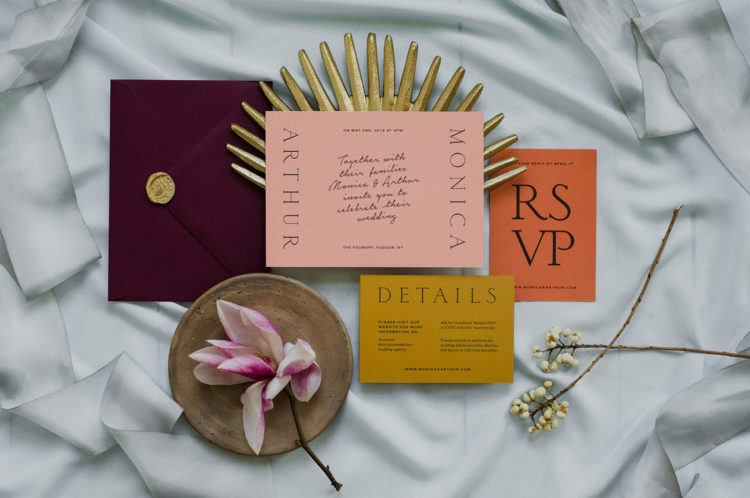 The juxtaposition of these elements offers a modern, rich, and elegant feel for summer, late summer and fall brides. 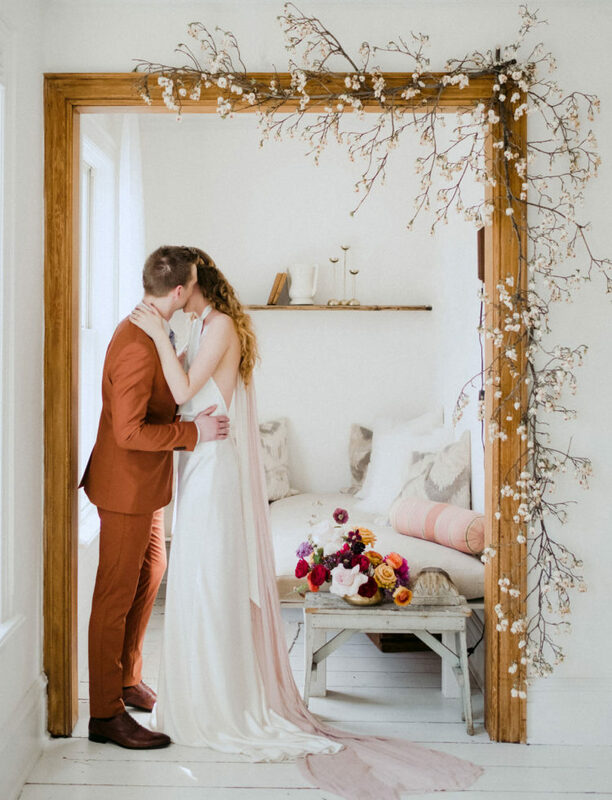 The white interiors, which are traditional for Scandinavian design, were dotted with colorful pops and sumptuous hues of Morocco. 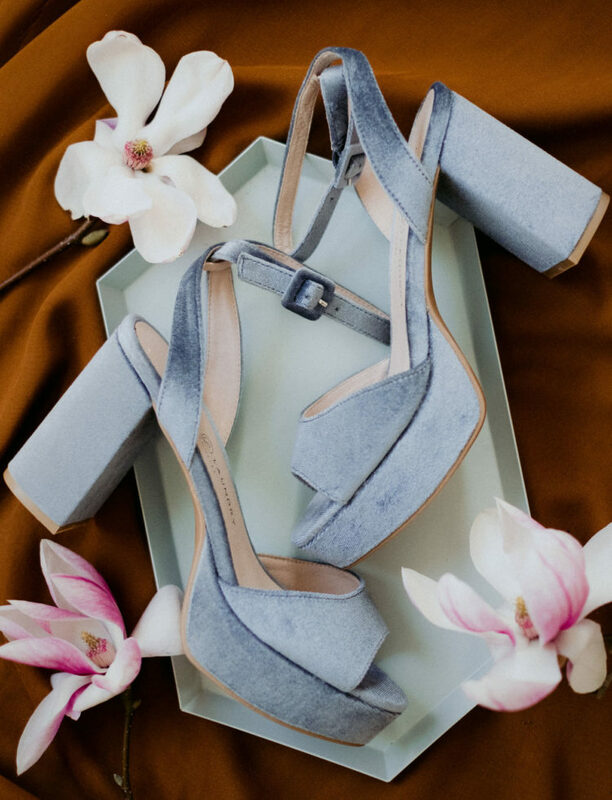 Park & Bloom created modern floral sculptures with seasonal blooms, that truly brought the color palette to life. 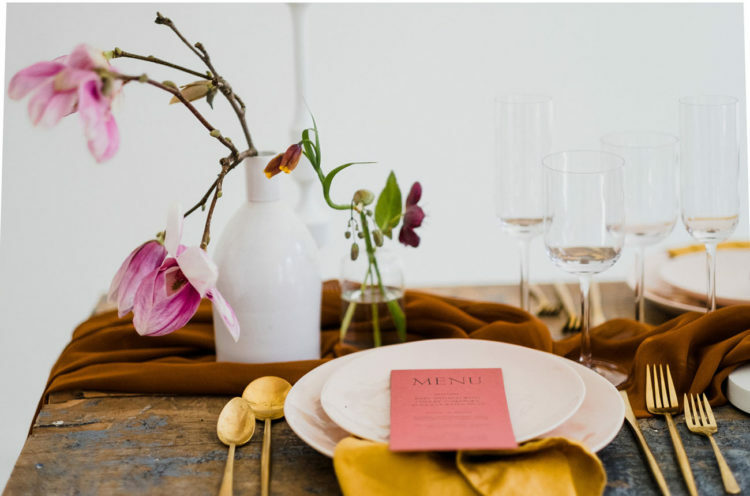 Delicate bud vases accent throughout, dogwood branches frame the cozy sitting room, and the tablescape is made complete with the arrangements. 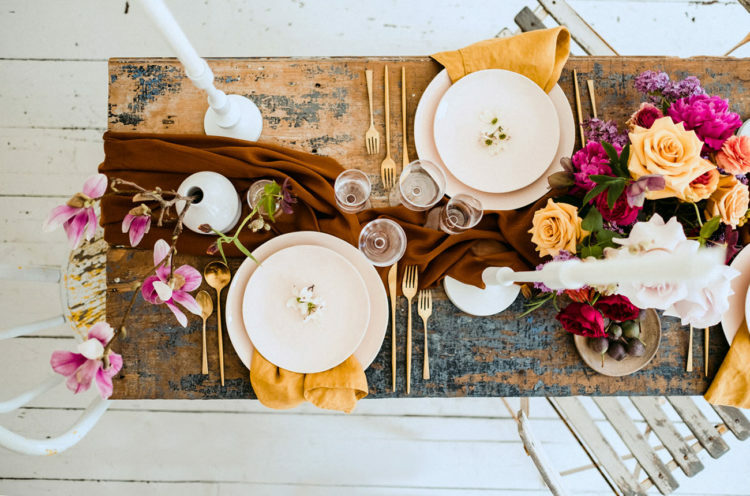 The tablescape was also done with mustard napkins and a rust-colored table runner, these lush textiles created a bold contrast with the shabby uncovered table. 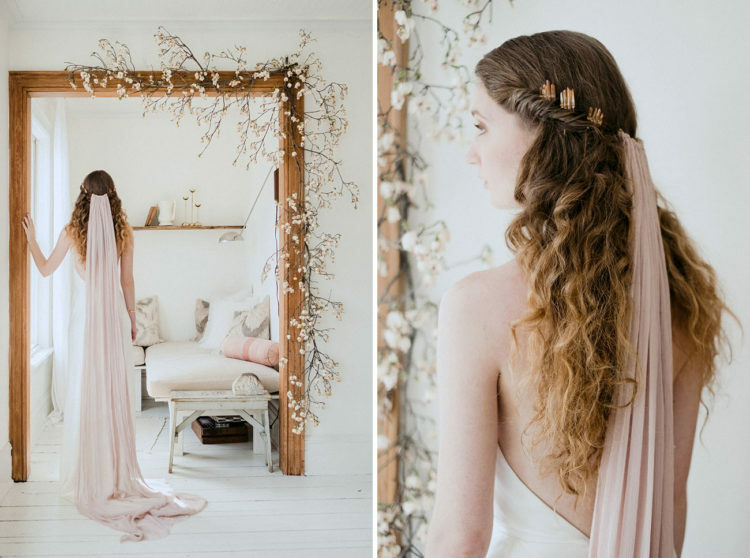 The bride was wearing a modern halter neckline sheath dress and a long blush veil, she was rocking waves down and a bold lip. 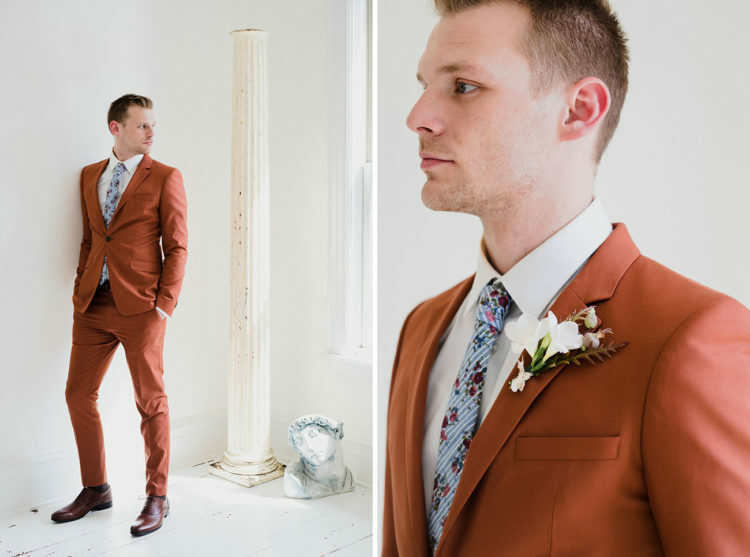 The groom was wearing a rust-colored suit with a blue floral tie, florals in groom’s attire are extremely popular now. 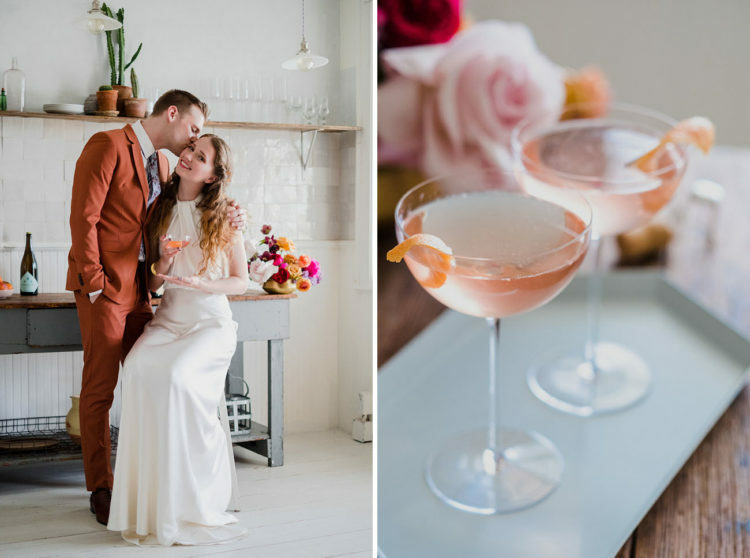 Especially for the shoot, the team stirred up these boozy drinks, made with Hudson Valley’s Treasury Cider. 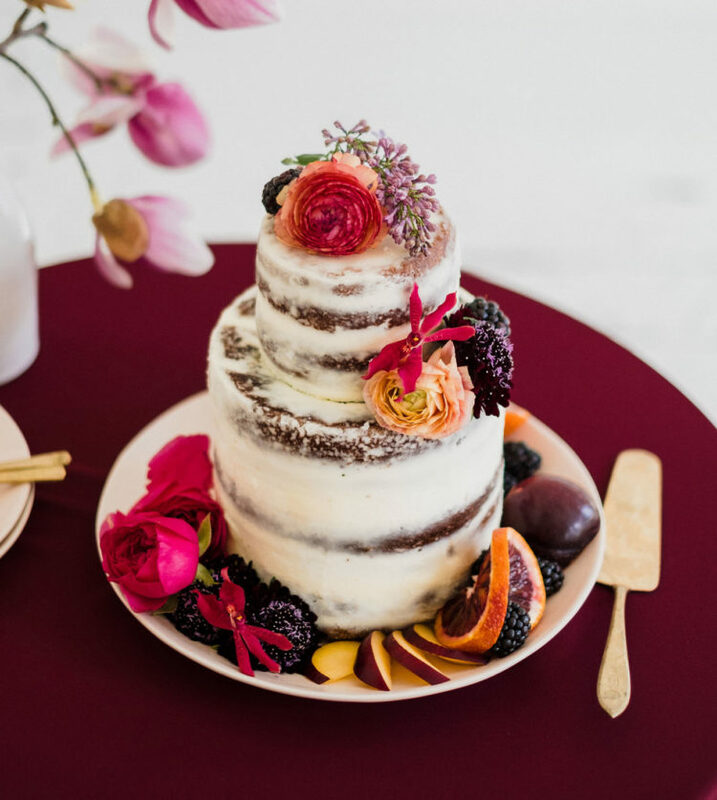 The wedding cake was a naked one, with fresh blooms and fruits in bold colors. 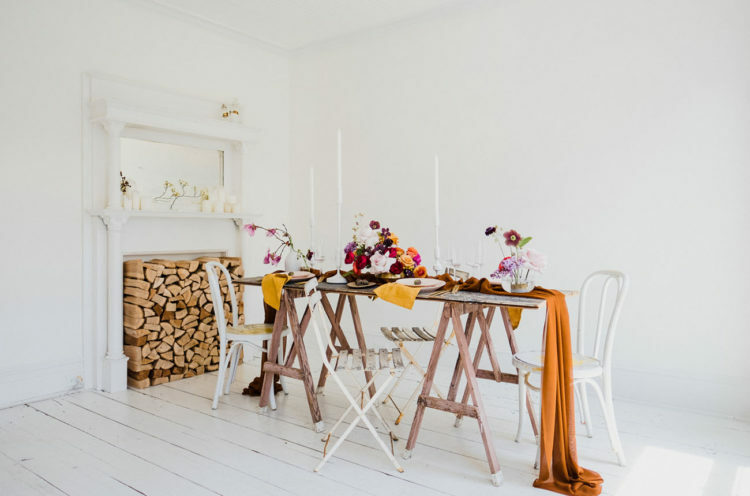 So who thinks that this Scandinavian meets Moroccan palette is a match made in heaven?